B2B Demand generation is all about the numbers: how many leads, by when, at what cost? 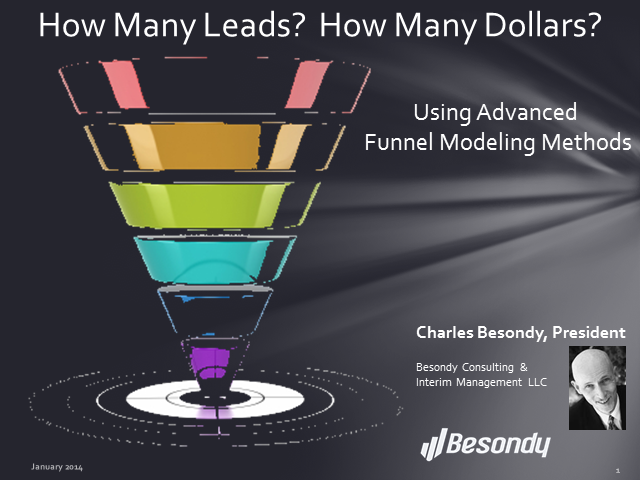 This webinar will demonstrate advanced funnel modeling techniques you can use to make your plans realistic, justifiable and measurable. -- Of Funnels and Waterfalls. What should your lead gen process look like? -- Is your market large enough? -- Allocating the budget strategically. -- Demand generation vs. branding vs. channel. -- Beyond excel. Tools of your trade.